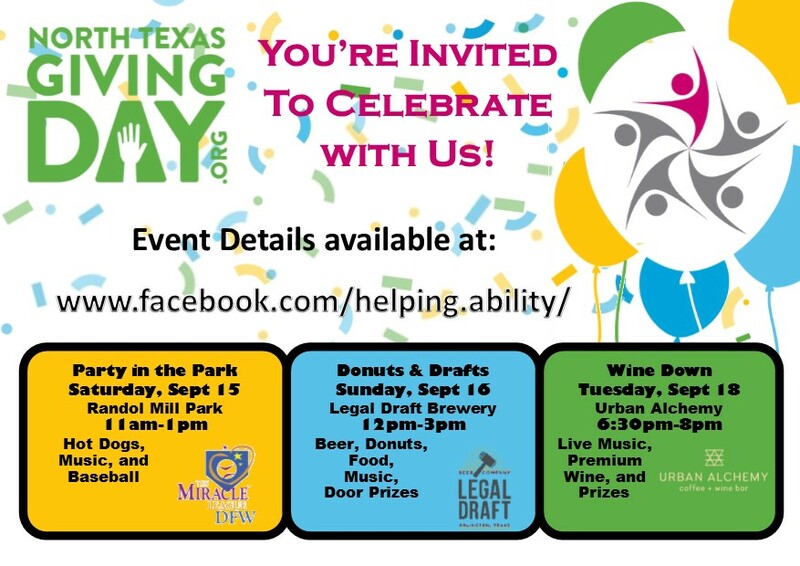 Helping Restore Ability is proud to have been a part of North Texas Giving Day for the past 8 years. In these 8 years, friends and donors have supported the vital care that is provided to North Texans with disabilities. The support provided through North Texas Giving Day is especially helpful due to matching funds, prizes, and bonus funds. It is a way for each gift to go further and to do more. With over 250,000 people on the state waiting list for services, Helping Restore Ability yearns to meet the needs in communities around North Texas. As individuals are approved for services, Helping Restore Ability will send an individual to the client’s home to ensure all enrollment information is filled out correctly to reduce delays in care. Additionally, Helping Restore Ability will begin recruiting attendant caregivers, conduct background checks, facilitate training, and ensure that all necessary needs are being met. These services or not reimbursed by the insurance company and often exceed $1,000 per client. To continue offering services to new clients as they come off the waiting list, Helping Restore Ability must be able to meet this $1,000 need. 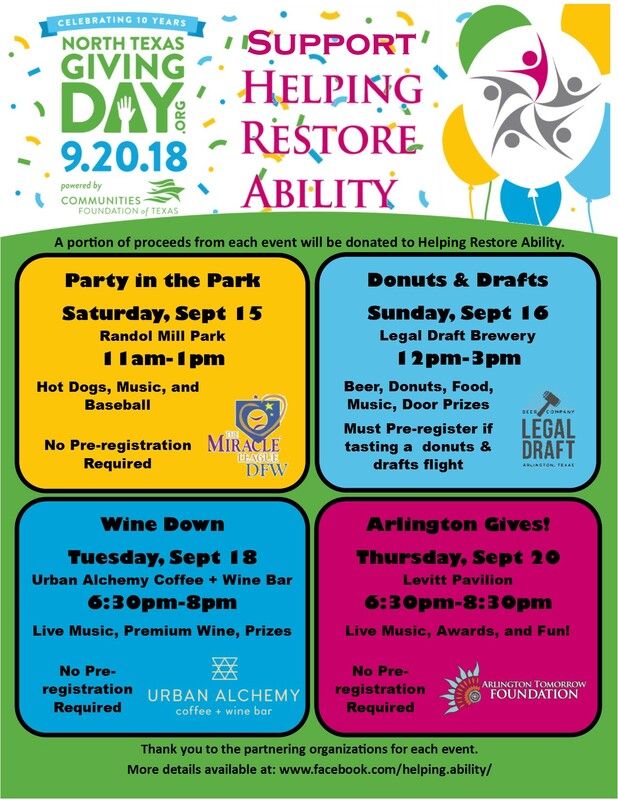 In order to help foster the spirit of North Texas Giving Day, Helping Restore Ability will be hosting several events aimed at raising awareness and empowering each person to support a non-profit that they are passionate about during this giving event.